Sari Solden, MS LMFT is a psychotherapist in private practice in Ann Arbor, MI who has worked with men and women with AD/HD for almost 20 years. She is the author of Women with Attention Deficit Disorder (Revised 2nd edition 2005) and Journeys Through ADDulthood 2002, which is for both men and women as well as mental health professionals. Solden trains mental health professionals on counseling adults with AD/HD and is a prominent speaker at both national and international AD/HD conferences as well as a frequent contributor to publications on this subject. She serves on the professional advisory board of ADDA and has served on the program conference committee for national CHADD. Her areas of specialization include inattentive AD/HD, women’s issues as well as the long term counseling issues for men and women not diagnosed until adulthood. 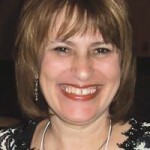 Sari was the 1996 recipient of ADDA’s award for outstanding service by a helping professional.